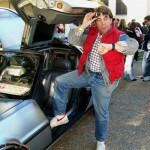 Back to the Future – it was one of the most popular movies of the 80s, and rightfully so! Michael J. Fox was at his best (and at his hottest) and the movie’s plot held all of us captive. After all, what’s not exciting about riding in the coolest car ever and taking a trip back in time to when your parents were your age? Unless of course you manage to ruin your parents’ chances of meeting – thereby nullifying your very own existence. Poor Marty McFly. As pathetic as the name may sound (and Marty McFly isn’t exactly a manly name) the movie was cooler than cool. 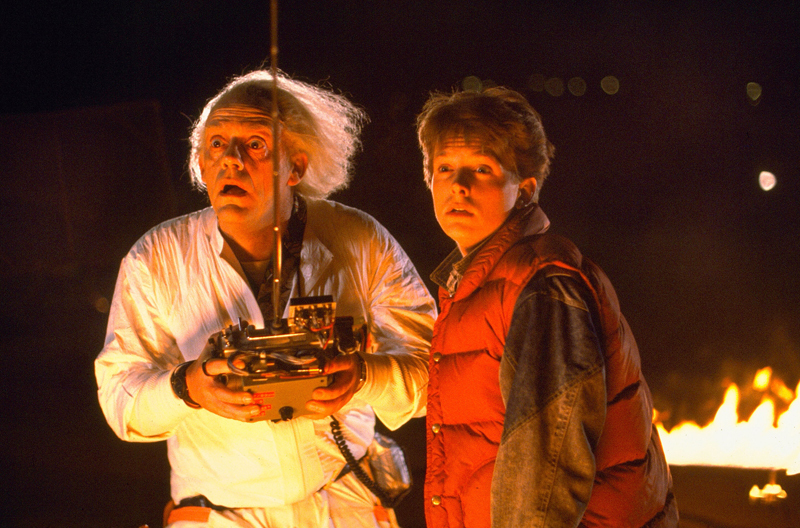 Admit it – after you saw Back to the Future you would have done anything for a Delorean, right? Don’t worry – you weren’t alone. Everyone did. We cheered for Marty, we adored Doc and we dug our nails into our hands while praying that Marty would fix the clock tower in time so Lorraine (his mom) and George (his dad) would fall in love – after all, if they didn’t fall in love in 1955, Marty would cease to exist! Doesn’t it make you long for the good-old days when movie entertainment was so innocent? No shooting, no real violence – just good clean fun? Yes, Back to the Future is definitely a movie that can define the entertainment of the 80s. 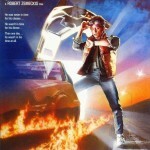 Of course we can’t forget to mention the two sequels to the Back to the Future movie. Marty’s adventures definitely don’t end with the trip he made to 1985. He gets to go forward to the year 2015 in Back to the Future Part 2 and then he gets to go back to the year 1885 in Back To The Future Part 3. And of course there was the cartoon series that aired for a short while (typical 80s philosophy – keep it going till you run it into the ground). Fans who think they’ve seen the last of Back to the Future will be thrilled to hear that all three movies are available on DVD. 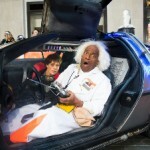 Rev up your Flux Capacitor – it’s never to late to go back to the future. 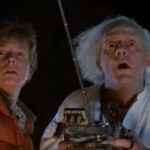 Here’s a bit of BTTF trivia that you might not know. 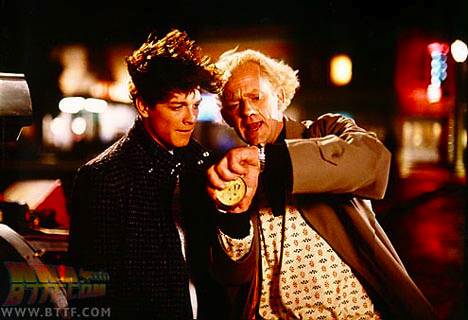 Eric Stoltz was originally cast as Marty McFly. Five weeks into the filming, the filmmakers made the switch. Check out this still image showing Stoltz in the role. While I love Eric Stoltz (see Some Kind of Wonderful), that role was made for Michael J. Fox. 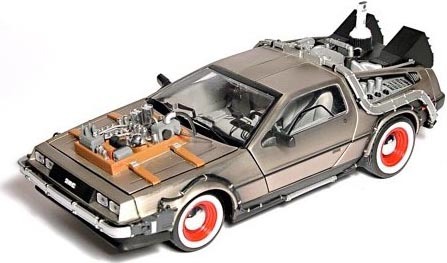 The staying power of Back to the Future has been in the news recently (December, 2011) when one of the seven DeLoreans used in the making of the original movie series (this particular one was used primarily in BTTF 3) went up for auction. Hemmings reports that the sale price at the auction’s close was a whopping $541,000, with a part of the proceeds going to Parkinson’s research. For more info on this movie and its sequel, check out our Be Kind, Rewind feature as it looks at the series. Loved this one too. Actually all three.